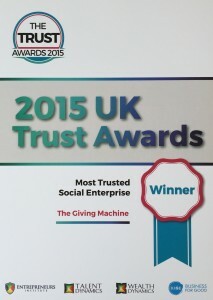 Richard Morris, CEO and Founder of TheGivingMachine, the charity which enables you to unlock free donations via shopping on-line, was thrilled to receive the award for Most Trusted Social Enterprise at the very first UK Trusts Awards at the Fast Forward Business Event on Saturday 12th September. 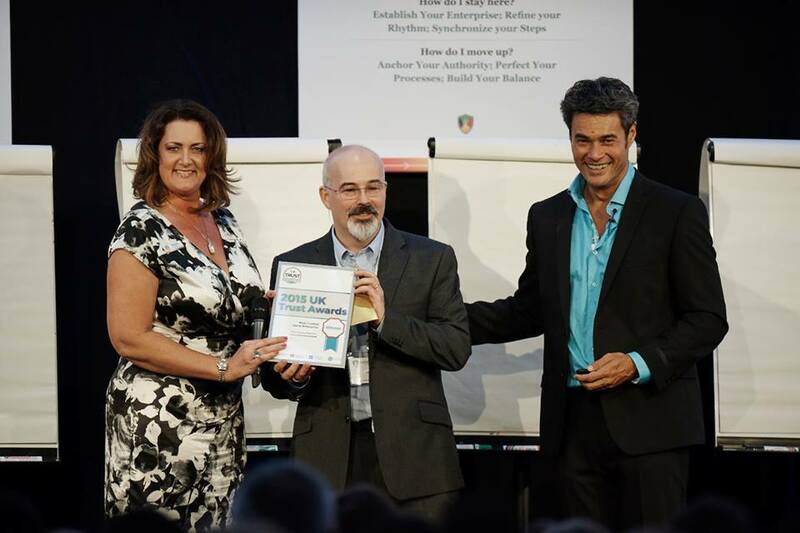 The award was presented to Richard by Roger James Hamilton and Michelle Clarke, Global Partnership Manager at The Entrepreneurs Institute. 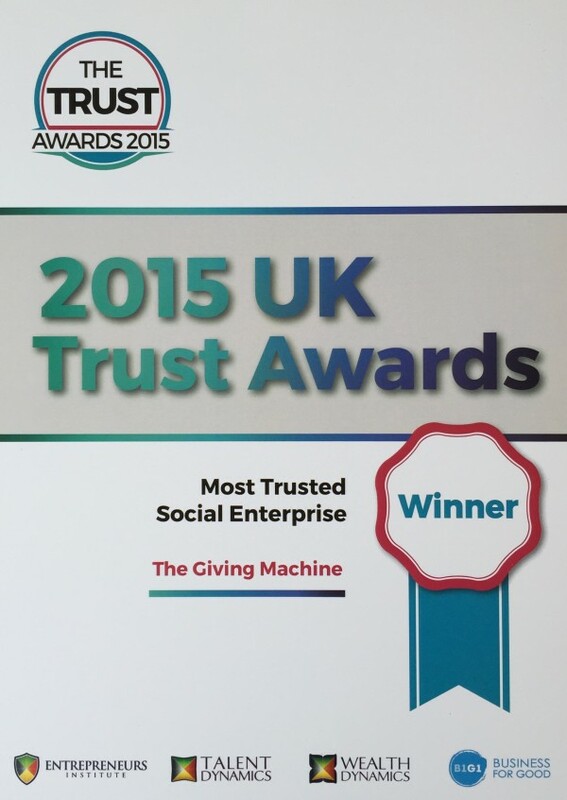 I’m delighted to say that thanks to people like you, TheGivingMachine won the 2015 Most Trusted Social Enterprise Award from the Entrepreneurs Institute. Our team is so grateful to serve the wonderful people and causes that are part of our growing community. Thank you so much for voting for us – together we can unlock many more £millions to achieve even more for the causes that matter to you. There were 439 entries across the 13 categories and thousands of people cast their vote and the Entrepreneurs Institute donated life saving water for every entrant they received.